Easy, breezy, carefree: summer should be all of those things and more, and Northwest producers have fulfilled those requirements with canned cocktails for the ultimate in summer drink relaxation. Though it can be fun playing bartender, it might not always be the most favorable role to take on while on a boat, at the beach or in a campsite. When drinking goes al fresco for the season, try one of these four cocktails that are as easy to throw in a cooler and chill as they are to pop a top and enjoy. 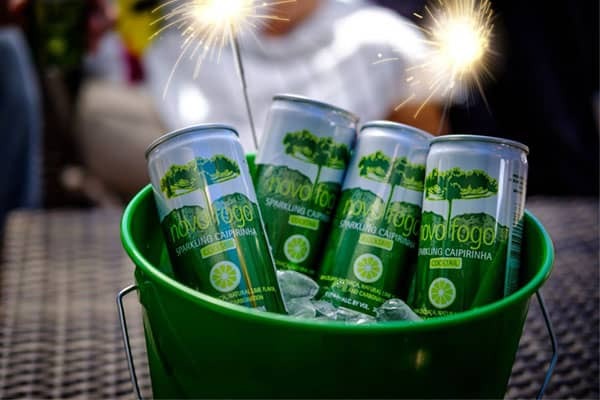 Seattle-based Novo Fogo produces its cachaças — the sugarcane-based distillate of Brazil — at its USDA-certified distillery in Brazil, and brings a taste of South America to the first-ever sparkling caipirinha in a can. As simple and straightforward as cachaça, lime, sugar and bubbles, this sweet and sumptuous gets a kick of citrus to lift up the full-bodied cocktail. For extra zest, pour over ice and add a squeeze of lime.